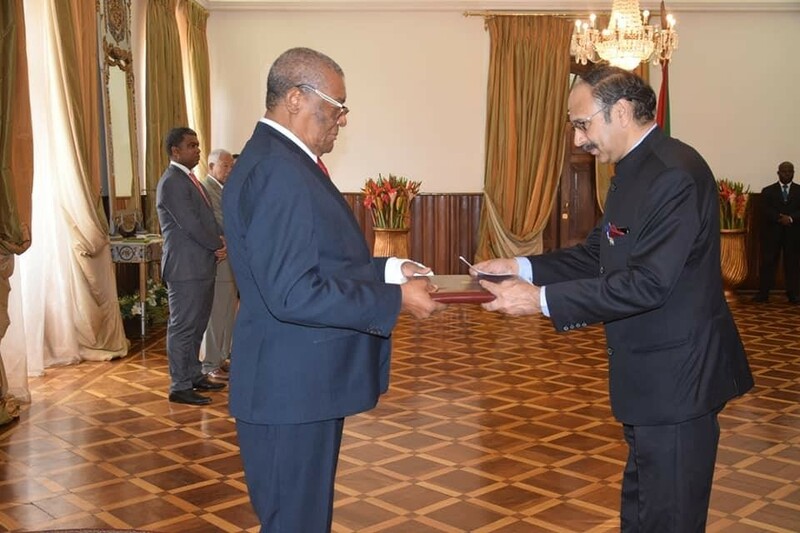 On 21 February, 2019, Ambassador of India to Angola - H.E Mr. Srikumar Menon (resident in Luanda, with concurrent accreditation to island nation of Sao Tome & Principe - STP) presented his Letter of Credence to H.E Mr. Evaristo Carvalho, Hon'ble President of the Democratic Republic of Sao Tome & Principe, during a ceremony organised at the Presidential State House in capital Sao Tome. 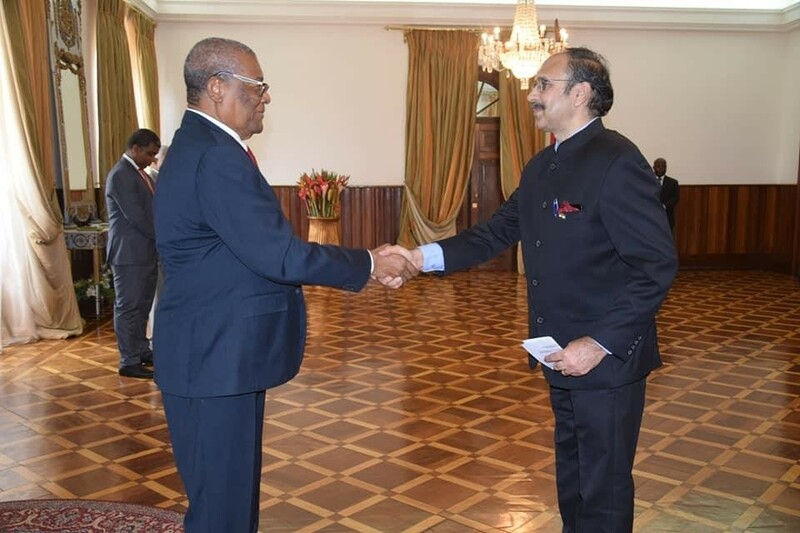 During his audience with the STP President, Ambassador Menonconveyed greetings from Hon'ble President of India Shri Ramnath Kovind, to President Carvalho, the Government and the People of Sao Tome & Principe. Aguard of honour was presented at the end of the ceremony.Ambassador Menon was accompanied by his wife Mrs. Jayanthi Menon. Here are some photos from the credentialsceremony.